My grandmother Hazel ambushed so many people in the bathtub that you could almost mount an exhibition of her tub shots. 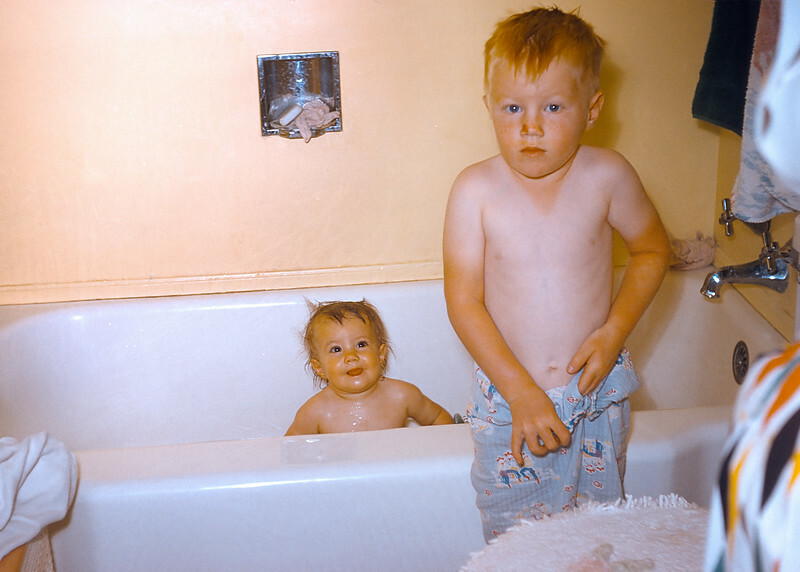 Here I am getting ready for a bath while my sister Aileen finishes hers. The red stain on my nose is real. I probably ran into something. I was a wild rambunctious kid.